Long before founding Funderbeam, Kaidi was the only IT lawyer in Estonia. It was the mid-1990’s, and Estonia had only recently regained their independence (to be exact, the restoration of independence was August 20, 1991). Altogether, she worked in the trading, clearing, and settlement industry for 12 years. So, she founded Funderbeam, a platform where growth companies are funded and traded across borders. Funderbeam offers the opportunity to raise growth capital for companies and provide immediate liquidity to investors worldwide. And as Funderbeam uses blockchain technology, it aims to become the future model on stock exchanges. Funderbeam has a total of $7.36-million funding from 19 investors. A true testlion. When Kristel Kruustuk finished high school in Estonia, she went to London and became a waitress. Her friends turned her on to the tech scene, and she decided to go back to school to study software development. Kruustuk fell in love with software testing and started her own company, Testlio, testing mobile apps with her husband Marko Kruustuk. At 28, Kruustuk is a rare female CEO in Silicon Valley. In Testlio, 50 percent of the employees are women or minorities, and 40 percent of the company’s leadership team is female. Testlio had investments over $1-million just 2 years later and over $7-million in total by 2016. 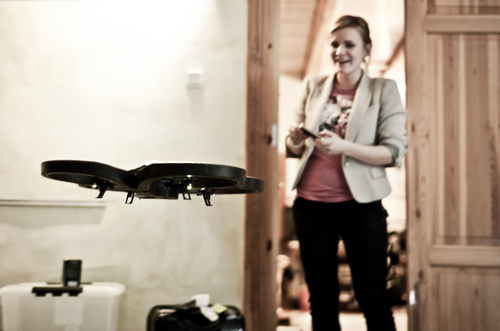 Testlio has two offices, one in Tallinn and another in Silicon Valley, US. Callmidwife was introduced to Estonian people in 2017 on a startup television show called Ajujaht. CallMidwife is a platform where pregnant people can reach midwives 24/7 from all over the world. Callmidwife was introduced to the international investors at Slush, the startup event held in Helsinki, where they got funded. Maila has been practiginc since 1988, won the Nurse of the Year award in 2011, and was awarded Best Midwife in 2013. A true powerwoman in Estonian tech industry - Mari-Liis Lind has worked with Tehnopol, Tallinn Music Week 2017, Funderbeam, e-Estonia Showroom and many other projects in the past. Now she is working as a Programme Manager for Tallinn Digital Summit for the Estonian Government and the European Union Secretariat. Lind founded Tech Sisters in 2012. What is Tech Sisters all about? It is a non-profit organisation with a vision to inspire, educate and encourage women and girls in technology and IT. They see that the world needs a more diverse group of people taking part in developing new technological solutions. Sisters arrange entry level hands-on technology-focused workshops in development, robotics and design and monthly networking events to provide opportunities to meet, mingle and share experiences with peers. 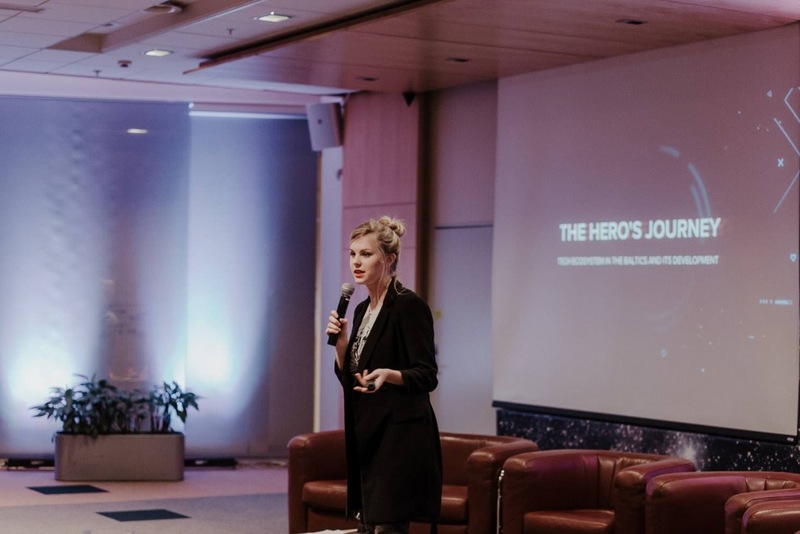 The organisation is based in Tallinn, Estonia and in 2017 Tech Sisters was nominated the national winner for the European Enterprise Promotion Awards. 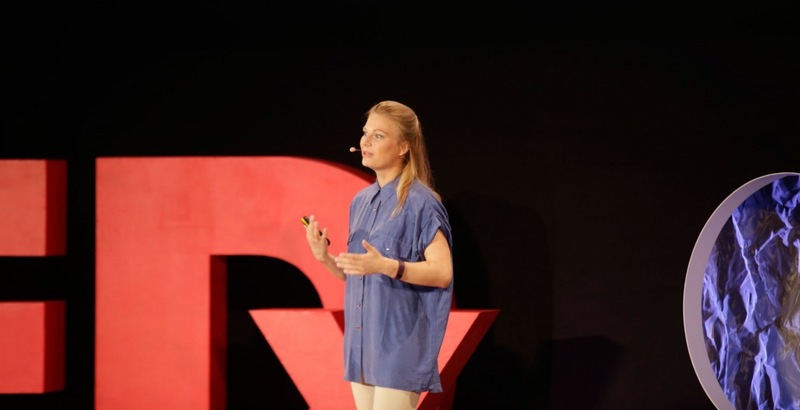 Hindriks is an Estonian entrepreneur who founded her first startup at the age of 16. Today she’s the CEO of Jobbatical – a platform where global employers borrow the skills of techies and creatives from all over the world. Jobbatical is all about connecting businesses with the best creative and technology talent worldwide. Founded in 2014 by Allan Mäeots, Karoli Hindriks and Ronald Hindriks, Jobbatical has an interesting revenue model that charges firms an upfront fee and actually helps workers with Visa services. The company has raised more than $7.9-million so far, including a recent $4-million Series A round led by Mistletoe and involving Union Square Ventures, Tera Ventures and AirTree Ventures. Nicknamed Multitasking Medusa, Kai Isand is the COO at Garage48 Foundation, the longest-running startup organisation in Estonia. In addition to that, she´s the co-founder of a design hackathon called YourDesignWorks. She´s passionate about community initiatives where the result could be anything from a valuable connection to a start of a global success story. 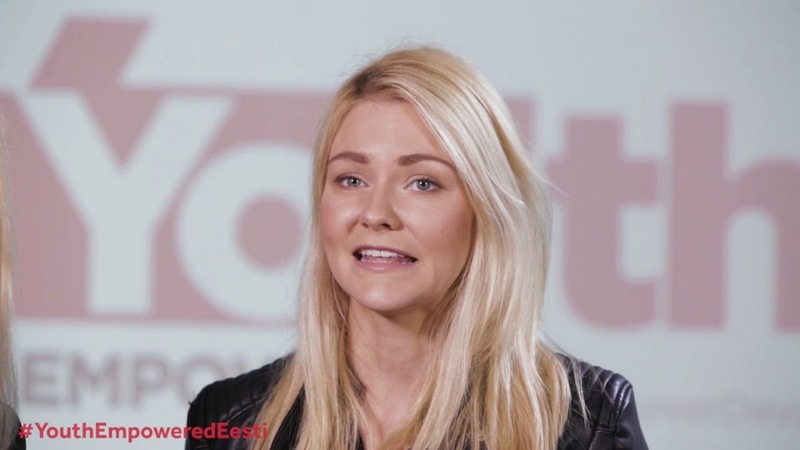 She has said that if Estonian developers could build Skype, if two guys from Estonia can disrupt a whole industry worldwide, if Estonian teams are building robots from the future right on our own soil, then surely can you. She believes that great products are built by great people with the help of great people. 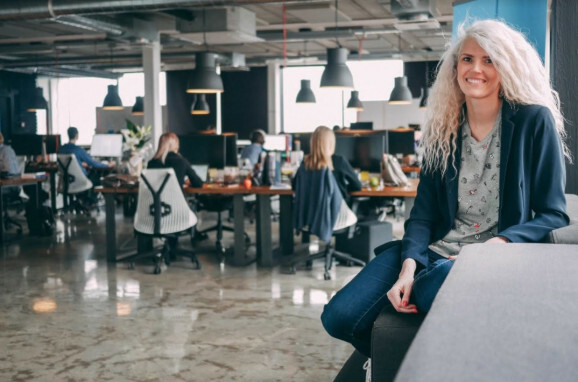 Not only is Alise one one the few female startup founders of Latvia, she is also a co-creator of the Riga Tech Girls initiative, which aims to bring women and technology closer together, to bridge the gender gap in tech. On top of that, she is listed in Forbes as one of the 30 under 30-year-old influencers in the European media field for her work with Infogr.am, the data visualization startup, which is used around the world by companies such as MSN, Skyscanner and Deloitte. Alise is a woman who fearlessly and consistently works to empower women in tech through the infatigable amount of Riga Tech Girls events that are regularly announced for all ages of woment to get closer to tech. 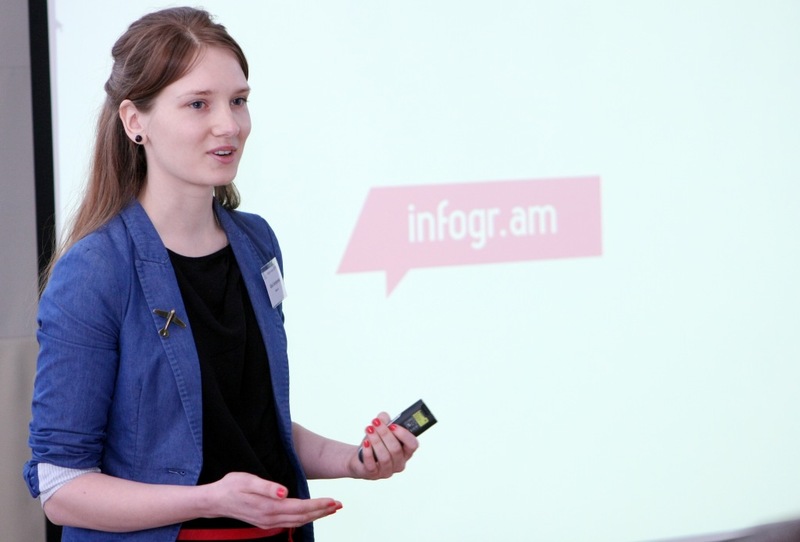 It would be impossible to mention Riga Tech Girls without mentioning Alina Karpelceva. By day she's a developer at 4Finance, and in her free time she co-founded and leads the Riga Tech Girls initiative. Alina brings the technical chops to the table. Alina organizes half of the events under RTG, and over 560 girls and women have passed throught workshops under her tutelage. Alina is playing a major role in empowering the next generation of female technical talent. Respect. “People say nothing is impossible, but I do nothing every day,” says Marija about herself and the work that she does. She has been characterized as a Latvian ninja and the ultimate multitasker. Marija is the CEO of TechChill, one of the largest tech events in the Baltics that happens every February, gathering 2000 entrepreneurs, challengers, and the brightest minds in tech. Marija has made it clear that the success of TechChill goes hand in hand with the success and development of the Latvian startup ecosystem. As a result, she has been instrumental in getting Latvia's name out there - be it facilitating Latvia's country event at Slush in Helsinki, organizing a Latvian startup meetup in Silicon Valley, or participating in the development of the startup law, which lightens the financial and beurocratic burden for local and international startups to work in Latvia. 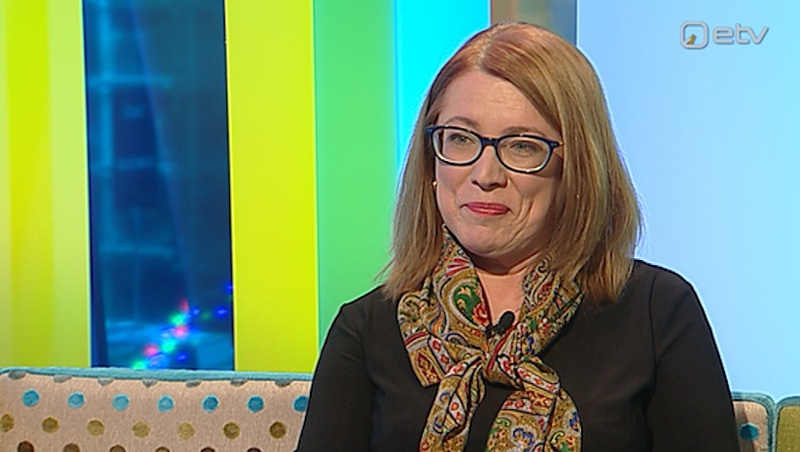 She has acknowledged the importance of bringing in ever more individuals into the tech scene, to feed it with the talent it needs to flourish. For this reason, TechChill has made it a priority to increase student participation (students were invited to apply for free student tickets), as well as to give young people the opportunity to get involved and volunteer at the event. Dagnija is a passioned communications professional with a special interest on technologies, startups and community engagement. She is a co-founder of the boutique reputation management company “Lejina and Sleiers” and the co-founder and CEO of the tech, startup, corporate, policy and lifestyle multi-event festival "Digital Freedom Festival". She is a passionate advocate of startup movement, has organized one of the biggest tech startup events in Latvia "Silicon Valley comes to the Baltics 2015" and is the co-founder of Riga Venture Summit and has been elected to the Latvian Startup Association - Startin.lv. In her work with the Digital Freedom Festival, Dagnija has placed an spotlight on gender inclusiveness in the tech world - she declared a commitment to ensure that 50% of the speakers at DFF are women. What is Digital Freedom Festival all about? It offers inspirational speeches, challenging discussions, workshops and networking opportunities for everyone: startups pitch their ideas and showcase their products; investors matchmake with startups and corporates; policymakers look for gains from digital transformations; corporates seek synergies and spin-offs with startups; students and teachers thrive on inspiration. It has been written that Gunita is a creative and rationally thinking person who knows how to get things done with continuous effect. Well that is a virtue! Gunita’s background lays in architecture, urbanism and urban strategies. She is a member of Forbes’ 30 under 30, a TEDx speaker, and a member of the Good Technology Collective. Archipreneur has also given her praise, as she was proclaimed one of seven most inspiring female entrepreneurs in field of architecture. Since 2016, she and her partners established startup company Vividly embracing VR as new medium for building better cities. Vividly is well recognised on world XR map with expertise in real-time WebVR solutions. Company started in 2016 as a frontier in architecture and design industry empowering projects like NY Affordable Housing Challenge, Rail Baltica Riga Station and Expo Astana. The eager to build global business on emerging technology lead to acceleration in Startup Sauna, Helsinki and Slush 100 companies list. Jevgenija is a woman who is not limited to the confines of geography. She is largely responsible for the energy of the startup movement in Daugavpils - Latvia's second largest city by population. As most tech incentives gravitate towards the capital - Riga - Jevgenija makes sure that the spirit of innovation and tech doesn't exclude the rest of the country. 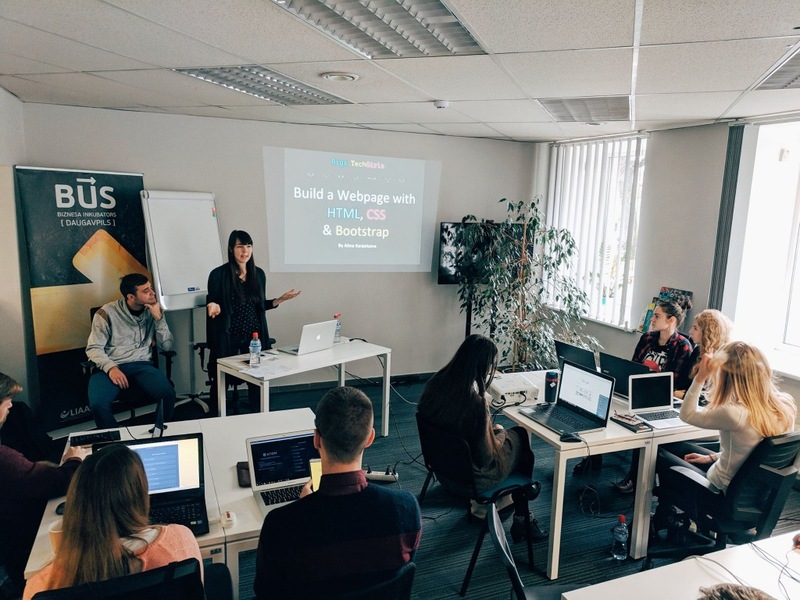 Jevgenija is the founder of Google Developer Group (GDG) Daugavpils, which is an education and communication platform for those who have passion for technology. They are focused on developers and technical content, however everyone interested is welcome to join their events. DGDs’ aim is to create local developer community and culture and bring more people into it. All their events are free to attend for everyone and hosted by true technology advocates. Jevgenija has also laid the foundation for the first co-working space in Daugavpils.